Situated just 20 minutes from Vienna International Airport (tube stop “Wien Stadion“ - 5 min. walk to the hotel) and 7 minutes by underground from the Austrian capital’s historic centre, the Hilton Vienna Danube hotel boasts one of the world’s most dramatic and picturesque settings on the banks of the majestic River Danube. Soak up stunning views of the River Danube from the Hilton Vienna Danube hotel, the Austrian capital’s only waterfront hotel. The hotel has been completely renovated and offers the largest bed rooms in Vienna with 40 square meters. The hotel lies close to the Reed fair and exhibition grounds where the EWEA 2013 Annual Event takes place – within 5 minutes you reach the exhibition centre by tube (U2). Further, the hotel is closely located to the Austria Center and UNO City as well as the famous Prater park with the Ferris wheel, and within walking distance from the renowned Ernst Happel soccer stadium. The city center with the famous sights and shopping streets can be reached within 7 minutes by underground. 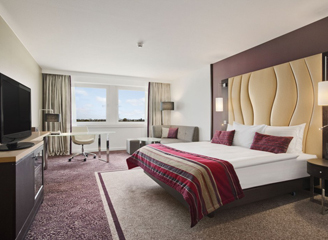 Additionally to the Hilton Vienna Danube, Hilton is offering 2 other fine properties located in the city center that are available to be booked during the EWEA congress. For more information please visit hiltonaustria.com. 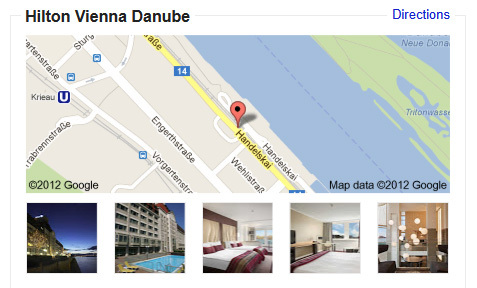 Book your room now and enjoy a relaxing and hassle free stay at the Hilton Vienna Danube during EWEA 2013 !